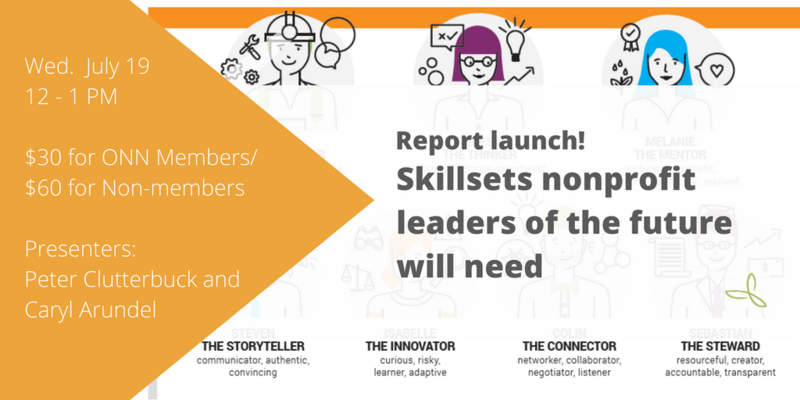 Get your hands on our brand new report to learn what key skill sets future leaders of the sector need to navigate a changing world and lead a workforce for stronger communities. This is the culmination of the past six months of research and interviews with nonprofits and sector leaders. We’ll share our seven skill set “personalities” in a new infographic and our detailed literature review. You’ll learn key recommendations to address leadership skills and development gaps from the perspective of individual organizations, the sector, and systemic changes we can make happen together. Think: funding reform! Get your questions answered and take away tools you can start applying to assess your readiness and future thinking when it comes to attracting and retaining leadership. Plus, identify skill sets you can develop as your career progresses. Join the Ontario Nonprofit Network’s signature event to connect, learn, and strategize with leaders from across the province on policy issues vital to building a strong and resilient nonprofit sector in Ontario. Marvyn Novick, a leading thinker and contributor to the social policy field in Ontario and Canada passed away suddenly on Tuesday, June 21, 2016. Marvyn, 75, although retired after a distinguished career in the social planning field in Toronto and as Dean and teacher at the Ryerson School of Social Work, remained actively engaged as a contributor to the social policy work of the Social Planning Network of Ontario.